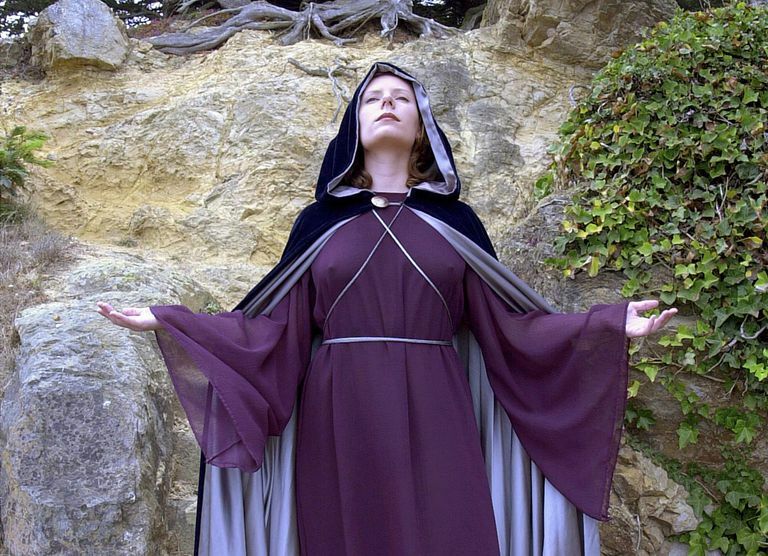 Dianic Wicca began as an offshoot of the feminist movement. "We always recognize, when we say "Goddess," that She is the Life-giver, the Life-sustainer. She is Mother Nature... There are only two kinds of people in the world: mothers and their children. Mothers can give life to each other as well as to men, who are not able to do the same for themselves. This constitutes a dependency upon the Female Life Force for life renewed, and was accepted naturally in ancient times by our ancient forebearers as a sacred gift of the Goddess. In patriarchal times this sacred gift was turned against women, and used to force them to give up roles of independence and power." While many Wiccan paths follow a belief system that limits hexing, cursing or negative magic, some Dianic Wiccans make an exception to that rule. Budapest, a noted feminist Wiccan writer, has argued that hexing or binding those who do harm to women is acceptable. In particular, she has called for the hexing and binding of men who perpetrate sexual violence against women and children. "These individuals selfishly never think about the following: if women allow men to be incorporated into Dianic Mysteries, What will women own on their own? Nothing! Again! Transies who attack us only care about themselves. We women need our own culture, our own resourcing, our own traditions. You can tell these are men, They don’t care if women loose the Only tradition reclaimed after much research and practice, the Dianic Tradition. Men simply want in. its their will. How dare us women not let them in and give away the ONLY spiritual home we have!" On her group's website, Budapest states that membership is open to cisgendered women ("Open to women born-women") only. In the wake of the issues with transphobia within the Dianic community, a few groups have continued to call themselves Dianic, but have amended their names to reflect inclusivity of transgender women. In particular, the McFarland Dianic tradition, named for founder Morgan McFarland, was one of the first Dianic groups to allow members who were not born female. In addition to McFarland's husband, an early initiate into the Craft, McFarland Dianic circles say they specifically do not exclude trans individuals of either gender, although only female members can be elevated to the level of priesthood, and the admission of male members is on a case-by-case basis, and left to the discretion of the circle's high priestess.